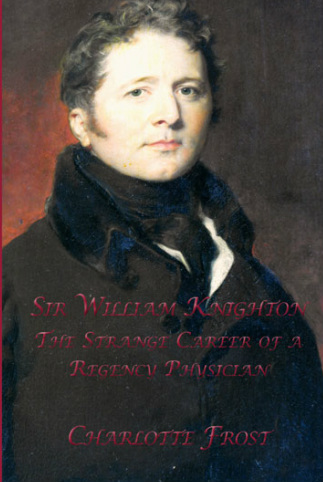 Sir William Knighton is remembered as George IV’s mysterious and influential courtier, but his service at Court spanned little more than a decade and was a second career. For most of his working life he was a physician, a profession that enabled him to rise from farmer’s son to one of Regency London’s most fashionable and expensive obstetricians. Then, as he approached middle age, chance threw him a once-in-a-lifetime opportunity to show the world where his talents really lay. He seized it. Knighton’s entry into the royal household fuelled gossip among his contemporaries, and opinion remains divided about the means by which he achieved it. He appears in every history of politics and royalty in late Georgian England yet there has been only one other biography of him. Published in 1838, only two years after his death, it was circumspect about the most intriguing aspects of his career, and discreetly edited to protect the privacy of friends and family now long beyond the reach of unwelcome attention. With new material I've been able to produce a much-needed second biography which portrays a decent but complex man. I hope you like it.